After miraculously clearing her psychiatric evaluation and spending the night behind bars, a handcuffed Ms. Bynes (still sporting her platinum blonde wig, natch) was escorted by police into a NYC courthouse to see the judge and meet her fate. Because Amanda is everyone’s new favorite celebrity trainwreck (Lindsay Lohan, who? ), she was, of course, met by a swarm of media when she arrived at the courthouse. Even though she had her fancy blonde wig positioned squarely atop her head, Mandy felt she was ill-prepared for a closeup (perhaps because she was wearing the same clothes she was arrested in and didn’t wanna be photographed in the same outfit twice…), and being in no mood for photographs, repeatedly asked photogos not to take pictures, saying, “I’m asking you, I don’t want any pictures,” before announcing to the public courtroom, “I don’t want any photos. No press are allowed in here.” Again: public courtroom. The Alleged Amanda Bynes Bong: Just A Vase? 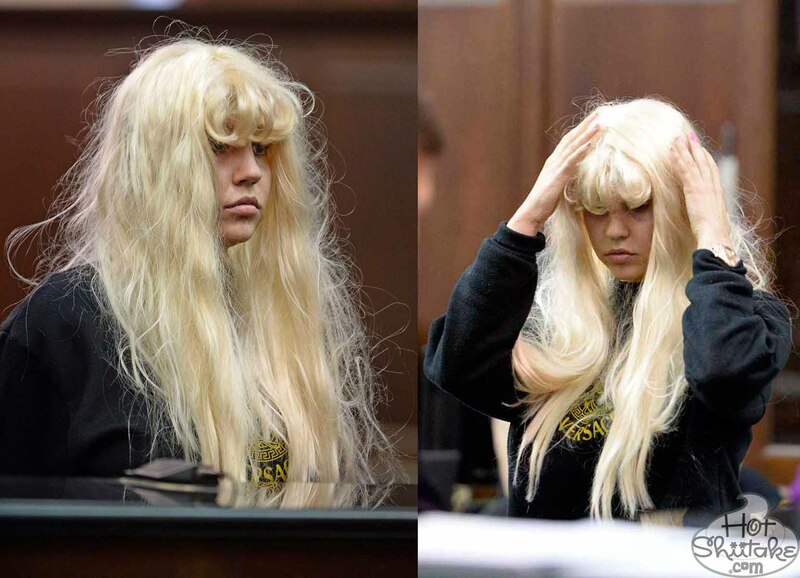 Amanda Bynes stood before the judge, fussed with her wig a bunch, answered the judge’s questions (surprisingly, her answers sounded like those of a fairly normal human being), and appeared to mumble to herself throughout the arraignment hearing. Interesting, to say the very least. Let me fix my weave wig. While “The Amanda Show” — as we’re going to start calling it — is freakin’ hilarious, there may be reason to worry: at her court appearance, the judge decided not to hold Mandy in jail and released her on her own recognizance… meaning Amanda Bynes didn’t have to make bail, and is currently on the loose. 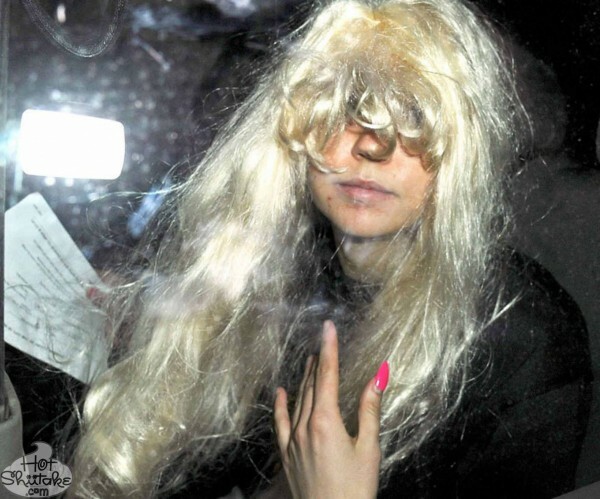 We repeat: AMANDA BYNES IS ON THE LOOSE. Watch Amanda Bynes argue with the voices in her head mumble to herself at her arraignment hearing this morning. Now that you’ve watched the actual footage of Amanda Bynes’ court appearance, let’s turn the tables and watch the following video of Ms. Bynes in court as a young, innocent, probably-not-pot-smoking youth.